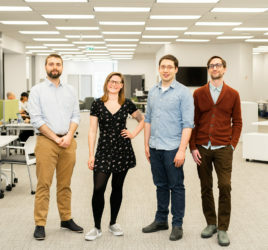 McInnes Cooper, Atlantic Canada’s leading startup and growth stage law firm and Volta Labs, one of Canada’s largest innovation hubs, are embarking on a new corporate partnership to build on previous success, drive engagement within Volta’s community and better serve the region’s growing innovation economy. McInnes Cooper will join Volta in its new 60,000 sq. ft. space with a permanent satellite office, marking the first corporate partner office in Volta’s lobby and community space in the Maritime Centre on Barrington Street. Volta is the largest innovation hub in Canada, outside of the Toronto-Waterloo corridor. At Volta, McInnes Cooper will continue to conduct regular seminars and office hours for Volta Residents and Network Members, and host and support events such as Volta Academy, an 11-week program designed to help turn ideas into viable tech-enabled startups. This onsite support provides real value and hands-on legal services to emerging businesses, saving them both time and money. “Volta’s partnership with McInnes Cooper is an example of the growing support corporate partners are providing to early and growth stage companies,” said Jesse Rodgers, CEO of Volta. “Collaboration between our partners and the startups in our community is integral to creating a stronger innovation ecosystem in Atlantic Canada, and Volta is proud to work with organizations like McInnes Cooper to help make this happen,” said Rodgers. The partnership with Volta is the law firm’s latest commitment in a series of efforts to support innovators and entrepreneurs. Continued collaboration between McInnes Cooper and Volta is natural, as McInnes Cooper was one of the founding sponsors of Volta when it first opened its doors in 2013. “We believe in our startup community. We have brilliant minds in Atlantic Canada and we are excited to be part of real economic growth in Halifax, specifically Halifax’s Innovation District,” said Rob Cowan, Partner with McInnes Cooper. Led by Partner Rob Cowan, with support from David Wallace and Julie Robinson among others, McInnes Cooper has a strong team of dedicated lawyers in Atlantic Canada who focus their legal practice on emerging businesses. McInnes Cooper lawyers have long provided trusted advice to startups and growth stage companies, formally launching their Start-Up Package and Retainer Package in 2017, offering relevant legal services under a flexible fee structure to new technology-based market entrants. Volta is a community of innovators that is home to over 30 companies and hosts over 150 innovation- and entrepreneurship-themed events annually. Volta is also a premier location for corporate innovation in the region, as it continues to build the region’s only Corporate Innovation Outpost program. This includes expanding its physical space to create an environment where large organizations and entrepreneurs can collaborate to solve complex business problems without the restrictions of corporate headquarters. These efforts are supported by a $2.25 million investment from the Province of Nova Scotia for Volta’s physical expansion, first announced in December 2017, and a $2 million investment from Invest Nova Scotia to establish more Corporate Innovation Outposts at Volta. “We believe in ingenuity and innovation. We want to support the talented entrepreneurs that will help make a bright future for the economy in the Atlantic region. We know Volta supports this view, and that is the motivation underlying our partnership”, said Hugh Wright, CEO and Managing Partner, McInnes Cooper. McInnes Cooper will take up space September 2018 when the renovations at the Volta site are expected to be complete. companies, partnering on venture capital financings, along with the ownership, protection and licensing of patents, trademarks and copyright. David Wallace works closely with Rob Cowan as the Co-Lead of the startup group at McInnes Cooper. David has a broad practice, with a focus on mergers and acquisitions, corporate finance and securities, venture capital financing, corporate law, information technology, sports and entertainment and privacy. He has extensive experience in establishing business structures and the negotiation of various corporate and commercial agreements, including asset and share purchase agreements, IT outsourcing agreements, franchise agreements and joint venture agreements. Jesse Rodgers is Volta’s Chief Executive Officer. A 15-year veteran of the start-up world, Jesse was the Founding Director of the Creative Destruction Lab at the Rotman School of Management, University of Toronto and the Velocity Program at the University of Waterloo. These two programs are the top performing incubation/acceleration programs in Canada and have attracted attention from outside the country. Chris Crowell is Volta’s Vice President of Corporate Innovation. He is responsible for helping corporate and public sector partners leverage the startup ecosystem to drive innovation in their own organizations through Volta’s Corporate Innovation Outpost program. Volta Labs is one of Canada’s largest innovation hubs, located in downtown Halifax, Nova Scotia. 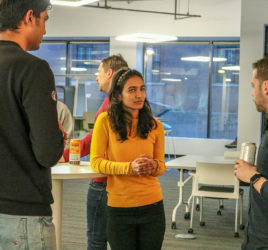 Volta aims to create a space where members of the Atlantic Canadian innovation ecosystem can work, connect and learn from one another by accessing co-working space, participating in programs and attending events. Volta has been home to over 50 startups through their Residency program, which have created over 300 jobs and raised a combined total of $60 million in equity financing. McInnes Cooper is among the 25 largest business law firms in Canada. 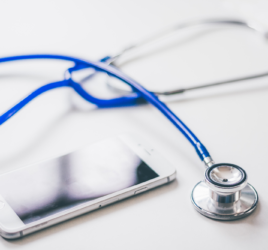 They serve clients from across North America and abroad from six offices in Halifax, St. John’s, Fredericton, Moncton, Saint John and Charlottetown. With nearly 200 lawyers and over 200 professional resources, McInnes Cooper is positioned to offer clients a range of legal and business services. The firm provides services to industry-leading clients in every major sector.